There is nothing more breathtaking than staring at heaven on Earth, while sipping a glass of divine French wine and nibbling on some of the finest classical French dishes. As you sit in front of a log-fire, warming yourself slowly with the snow falling outside your window, you will never get a better opportunity to admire the pristine beauty of the majestic French Alps. So if you do want to do all that and more, then why not take a look at these wonderful French Chalets, which offer all the luxuries on the planet and much more! For over 20 years now, Ski La Cote has been welcoming visitors to a beautiful ski chalet situated in the midst of a wonderful Alpine setting. Located near La Chapelle d’Abondance, near the Swiss border, this French Chalet is all about living in the lap of nature and luxury, all at the same time. There are six large bedrooms that offer unbridled views of the fantastic alpine villages down below, as well as of the beautiful valley laid out in front of it. The living room comes with a beautiful fireplace while the kitchen is reminiscent of the way the Swiss built their Chalets. Each room comes with a double bed with four rooms having ensuite bathrooms and the remaining two sharing a common shower room. All rooms have plenty of space to store our mountain equipment. Built in the heart of one of the most popular ski-slopes in the region, the Ski La Cote is truly paradise for those who come there for skiing or just to put their feet up in front of the fire. If you are looking for something truly out of this world, in terms of luxury, then the Chalet Lapin Blanc, at Meribel, is the one you need. A completely ski-in, ski-out Chalet that has four floors oozing with luxury, it provides world class accommodation for upto 14 people. There are six massive bedrooms with king-sized beds while one super-king-sized bed resides in the largest bedroom of them all! The entire dining and living space faces a beautiful open fireplace while the high ceiling opens up to the mezzanine above. The view from the Chalet is just mind-blowing! The English owners of this French Chalet have created something truly breathtaking even when compared to luxurious Chalets all over France. 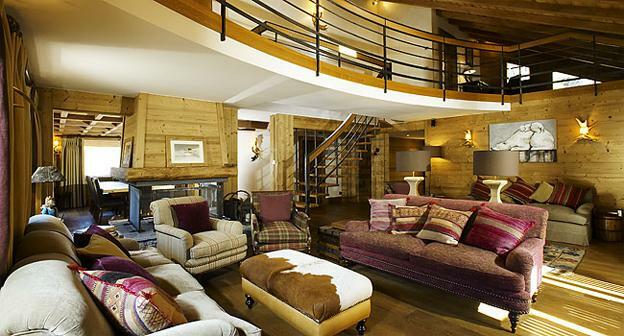 Situated in the heart of Meribel, the Chalet is a completely free-standing structure with three stone-clad floors and beautiful polished wood interiors. Every single element in the Chalet has been handpicked to exude glamour and flamboyance, from the tiled floors to the wood-panelled walls and even the decorative pieces scattered around the Chalet. The Chalet comes with a master bedroom that has its own living space, a cinema, five more bedrooms including three guest rooms and a host of other massively beautiful and luxurious features. 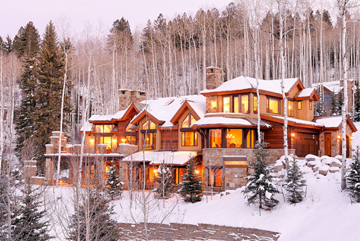 If you are planning to buy a chalet or simply spend your vacation in one, then there is no doubt that one of these beauties is the thing for you. With every imaginable amenity on offer, you will be spoilt for choice at the most luxurious Chalets in all of France. 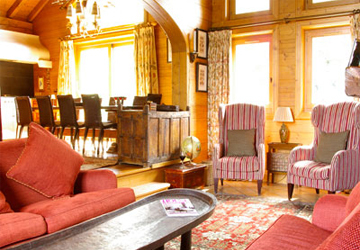 Joanna Grey the author of “The most luxurious chalets in France” is a full time writer. She has been retired in France and lives around the Lapin Blanc area.